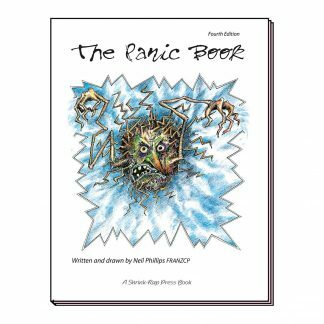 Home / The Shrink-Rap Book Shop / Books for Adolescents and Adults / The Panic Book. 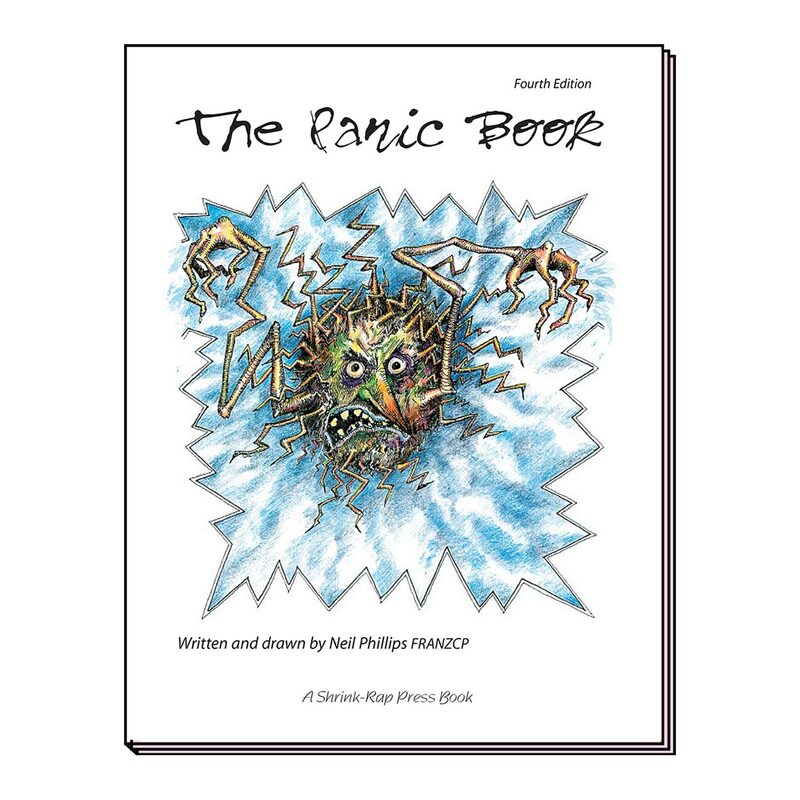 View cart “The Panic Book.” has been added to your cart. Panic Disorder is common and very troublesome. About three people in a hundred have it at some stage in life and many of those who have panic attacks go on to develop agoraphobia, which can place terrible restrictions on life. Having a full-blown panic attack is a horrifying business and feels deadly, although it’s not. Madness or some deadly illness is feared and life becomes miserable. Panicky people often take elaborate steps to avoid doing things that may bring on the panic and the amplified worries and the avoidance of ordinary activities make the Panic Disorder worse. People who have panic attacks may be reluctant to speak about their problem because they feel foolish or even believe that others will think them cowardly. That is not the case. Panic attacks involve a physical disturbance of the brain’s function. Once they start, panic attacks are often made worse by psychological reactions. In the book a prickly looking Panic Monster floats around causing panic if it can. 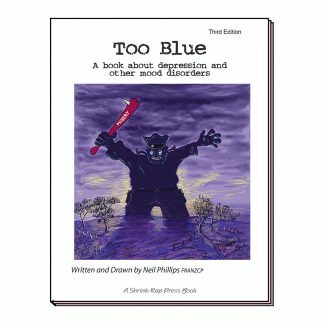 However, the book shows how a panic prone person can side track the terror and manage the distressing physical changes and terrifying thoughts so that the panic monster can be subdued. 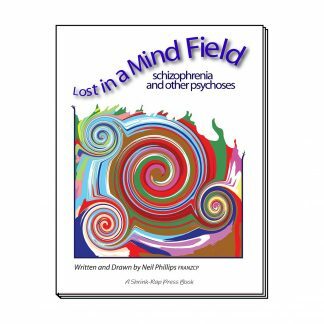 Lost in a Mind Field. Too Blue. © 1996 Shrink-Rap Press ( Australia ) Pty. Ltd., ABN 87 090 970 068. All rights reserved.